The desert safari trips in UAE are amazing. Usually, the desert is a very inhospitable place, filled with danger at every turn. But, with the help of modern day technology and today’s understanding of how deserts function, desert safari trips are a real and safe possibility. Everyone who visits the United Arab Emirates has a chance to take one of these trips, and they are not reserved for a select classification of individuals. 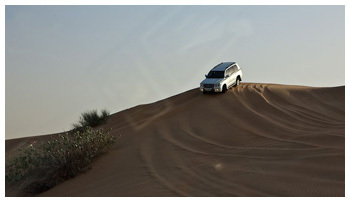 Open to everyone, the desert safari trips in the UAE are always full of fun and adventure. The tour guides are very knowledgeable about the desert, types of life there, and how to survive extreme temperatures. There are five different safari tours available: Morning Safari, Evening Safari, Dinner in the Desert, Overnight Safari, and Private Safari. Dune surfing with the 4 X4 vehicles is actually a lot of fun. You wouldn’t think that the drivers could offer such a exhilarating good time with vehicles such as these, but they pull it off with amazing precision. Driving in the desert isn’t easy, it takes a skilled hand behind the wheel. They have been cruising the sand dunes for so long, they know how to operate in them like the back of their hand. This isn’t some take it easy trip through the desert. They push their desert vehicles to the very brink of their performance abilities. You will have a blast slamming into sand dunes with a rush of steady adrenaline pumping through your body. There is even a belly dancer performing some of the ancient ways of dancing made famous in the desert regions of Dubai. If you’re into taking the chance of getting stuck in the middle of the desert WITH a way out, then the Desert Safari is the attraction for you. See, some of the other drivers take it easy and obey all the rules of desert driving. Most of the others prefer to take their patrons on the ride of their lives, slamming dunes and giving their vehicles a run for their money. They even go as far as to try and drive up hills of astounding size. One driver turned his vehicle on its side and barely got it back to normal for the down hill driving. So if you think the Desert Safari is just some relaxing escape through the desert, you’re mistaken. This adventure is made to get your excitement going and leave nothing to the imagination. The guides are seasoned in the art of showing their customers a good time, and when they’re allowed to get rowdy with their vehicles, they do so with stunning precision. The overnight safari is a lot of fun as well, adding a wealth of things to do and experience. Take camel rides, watch belly dancers perform, experience a true outdoor barbecue, ride in your choice of different all terrain vehicles, and more. Best of all, the lunch and dinner are free, included in the cost of the safari itself. Water is served along with soft drinks should you get parched along the way. 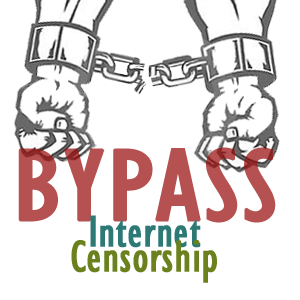 If you will visit UAE, check this because they censor the web.